It’s no secret that SkyTeam doesn’t get much love amongst us travel-hacker folk, so I thought I would take this chance to talk about the progress of KLM’s New Business Class rollout that is currently going underway. Late last year, KLM announced a new World Business Class product (if that name sounds familiar, it was also the name of Northwest’s business class, until it became BusinessElite after merging with Delta). 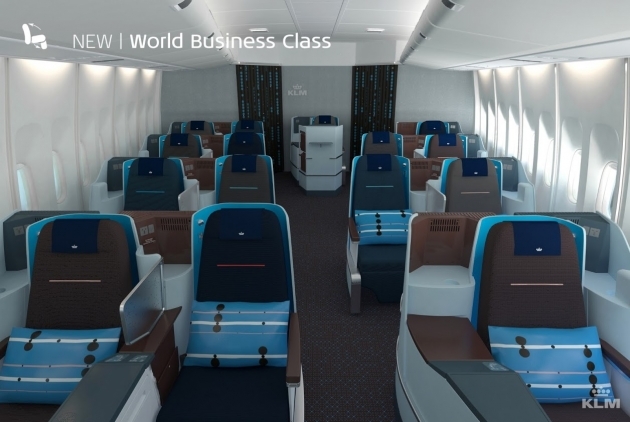 KLM’s New World Business Class features the B/E Aerospace Diamond seats, as seen on United BusinessFirst, Air China Business Class and Aeroflot Business Class. At present, there is an easy way to tell if your KLM flight will have the New World Business Class or one of the older business class seats. All routes operated by the Boeing 747-400 and Boeing 747-400 Combi will have the new fully flat business class seats. None of the other aircraft types have currently been retrofitted with the new seats and will have an older angled-flat seat. You can search KLM business class award space through the Alaska Airlines website. A round trip award from North America to Europe flying KLM costs 125,000 Alaska Airlines Mileage Plan, 125,000 Flying Blue miles (plus fuel surcharges) or 80,000 Czech CSA OK Plus miles (plus fuel surcharges). I’ve flown this 6 times (LAX-AMS-LAX), and have 2 more booked. The first time it was a surprise, so I was really happy. It’s an update, but it was really just catching up to many of the other big international carriers. They operate the most convenient flights for me (work in Amsterdam), so it makes the most sense to fly KLM (as a Delta PM). The problem is that having to climb over someone to use the restroom in the middle of the flight seems a little bit antiquated. All of the long haul Delta flights have direct aisle, and the on board soft product is usually pretty similar. I’ve taken to looking for my returns on DL instead of KLM as I find it more comfortable. Whatever you do stay away from AF Z until they update theirs, because as it stands it’s a joke. How can I check if the KLM s 777-200 have already the new business class? The first 772 has only went in for retrofit starting last month so at this point there is are no planes with the new business class yet. Any idea when the A333 will be retrofitted? It’ll be after the 747’s and 772’s so quite a bit of time away. Thanks. Crossing fingers for Sept/15. 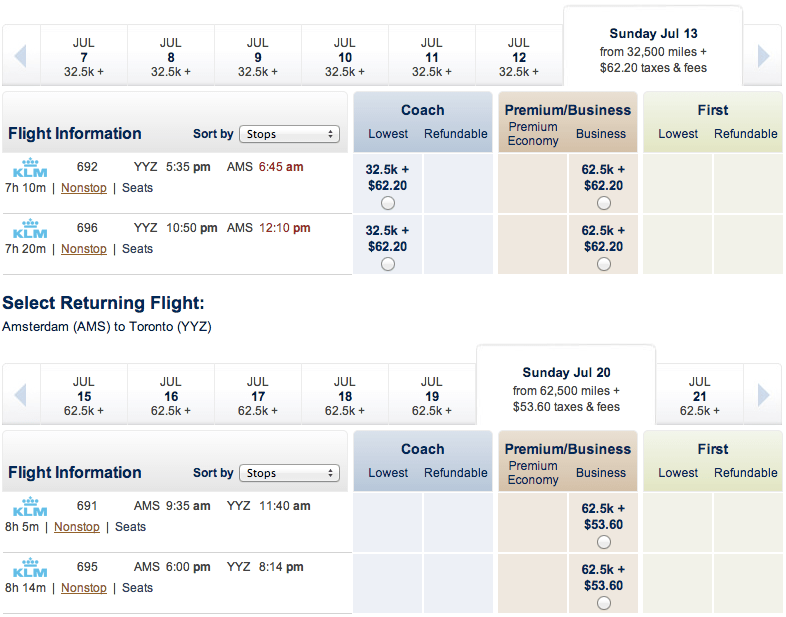 -Does it make sense to use Czech CSA OK Plus miles as a skyteam miles account? -What’s wrong with skymiles for seeing availability on KLM? DL doesn’t have access to the full range of KLM flights that Flying Blue and other partners have access too. OK Plus levies fuel surcharges, so there’s a lot of variables to decide from in choosing which skyteam airline to credit to.